We are an authorized Specialized dealer. We keep classic Specialized mountain bikes in stock, like the Rockhopper and Stumpjumper. We can special order any model that Specialized currently offers. During the summer mountain biking season we rent out a full fleet of Specialized mountain bikes. Hardtails, full suspension, 29"ers and 650b. Whether its your first day on the trail or a seasoned pro with no room left to transport your mountain bike, we have a rental bike to fit your needs. 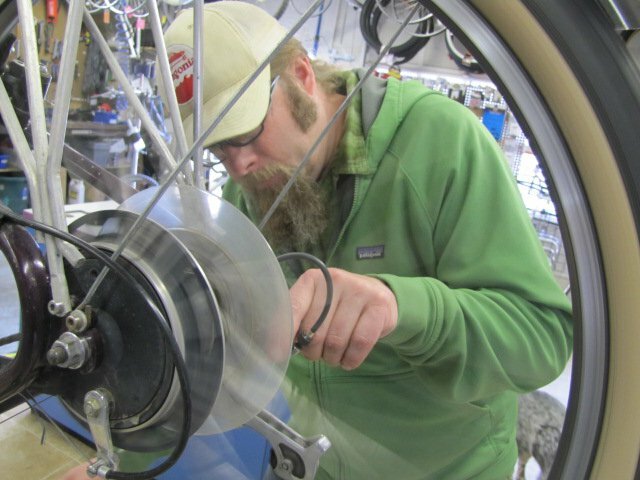 All Sports Replay has a bike mechanic on duty seven days a week, and we pride ourselves on our quick turnaround on bike tunes. Road bikes, your neighbors Schwinn from the 60's, or a state of the art carbon mountain bike, they can fix it all. Our guys can work on the best and newest components thanks to their commitment to excellence and staying with the times. We love supplying our community with bicycles, and not everybody can afford a brand spankin new bike. Consignment bikes are great if you don't mind a new-to-you ride with some character included. During the summer you can expect to find some gems displayed out in front of our store, from a rare Colnago to that Schwinn cruiser you've been looking everywhere for.